The varieties on a traditional lemon cake are endless and here I’ve gone for a round lemon cake drenched in lemony syrup and coated with flaked almonds. 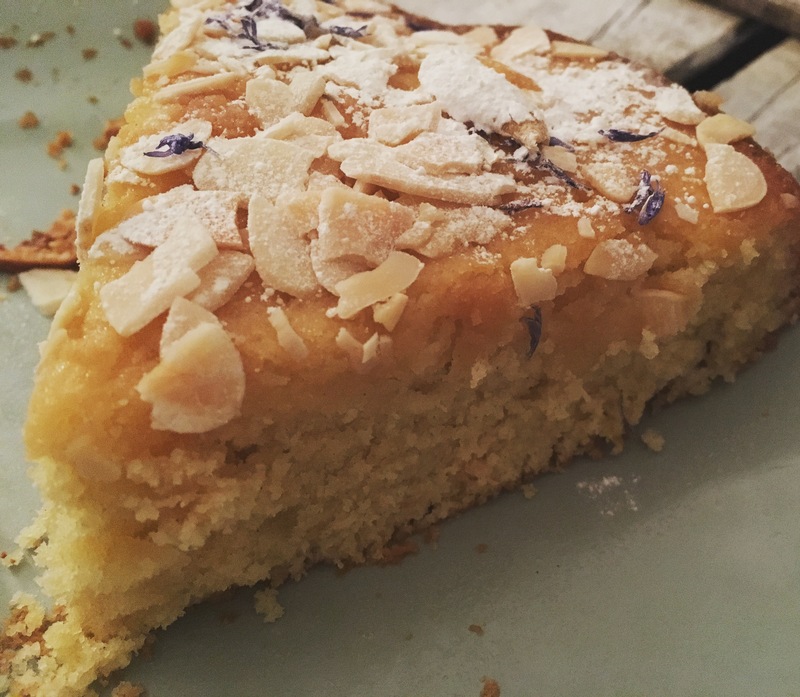 It’s incredibly easy to make and looks beautiful topped with icing sugar and almonds. I also threw in some dried blue corn flowers to add a little extra colour. As you pour the lemony syrup onto the cake when it comes out of the oven, the cake absorbs the liquid and ends up tasting squidgy, sticky and incredibly lemony. The texture if light and airy and the flaked almonds on top give another lovely texture to the mix with their crispy crunchiness. You can eat it cold or warm with a dollop of cream. Preheat the oven to 170C/150 Fan/Gas 3 and line a cake tin with baking paper. Mix the butter and sugar together until light, foamy and doubled in texture, this takes around three minutes with an electric mixer and five without. Add the eggs, one at a time, and then sieve in the flour and mix in the lemon zest. Carry on mixing until everything is well combined (around three minutes more with the electric, five without) and then spoon everything into the cake tin. Use a spatula to smooth the mixture down and pop it in the oven for 35 minutes. It’s ready when the cake sponge springs back to your touch, or a knife inserted into the middle comes out clean. While the cake’s in the oven, get the lemon syrup ready. Put the caster sugar and lemon juice into a pan on the hob and simmer for 2 minutes then set aside. When you take the cake out of the oven, prick it all over with a skewer and then drizzle the syrup into it and leave to cool for at least an hour before you take it out of the tin. 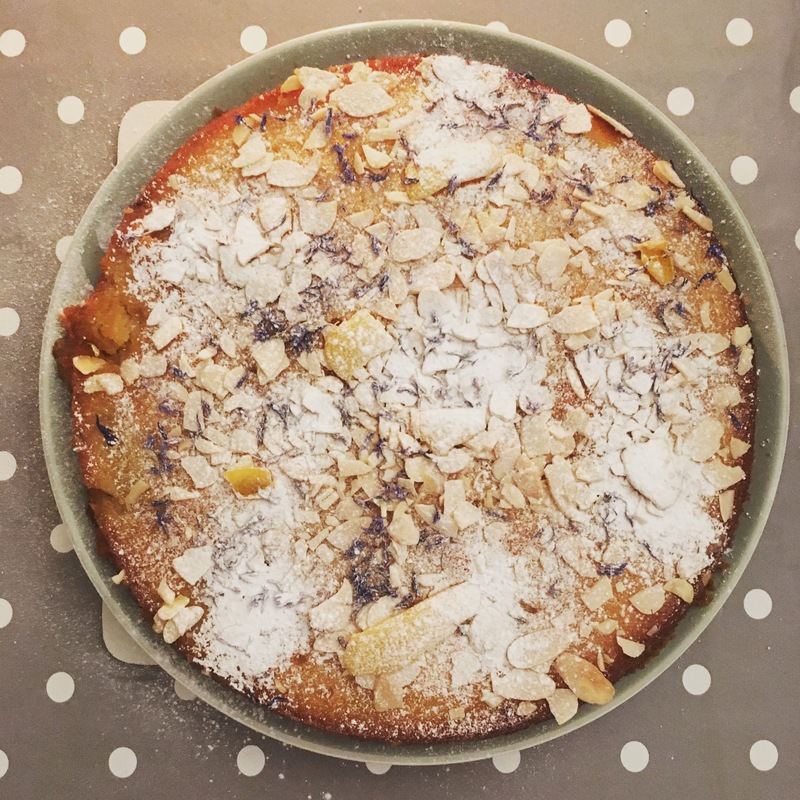 Sprinkle with the flaked almonds, icing sugar and dried flowers and you’re ready to go. Anything with lemon – yum! This cake looks delicious.